The weather is real crazy here. It’s hot for awhile and then it gets cold. I have a bad cold now because of this bad weather. It’s hot right now. I can’t tell you what it looks like outside. I’ve been locked up in here for three months. It will be like this for at least the next six to twelve months, because I’m level G5 again. 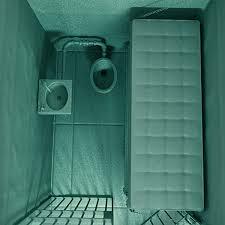 ( ad seg, solitary confinement) Don’t be mad or upset. I had to beat these people at their own game. Yes, even if it meant getting downgraded. They were going to ship me to another unit in West Texas. Reason being is because they said they didn’t have the bunks. So I did something and got myself put in G5 so they wouldn’t ship me. I need to be close to home right now. You know that sometimes you can’t even tell some of the closest people everything at the time. Prime example, look what happened. One thing leads to another and things blow up. Why is a hard question to answer sometimes. I write to Jamie and at times have someone draw or paint a card and send it to him. I’m not about anything anyone says. People can say whatever they want because between the letters that you an I have written he will always know how much I love him and nobody can take that away. It just hurts so bad because I have to go for so long without being able to see him now. It seems there are people on both sides who has done a lot lying. Everyone saying the other person isn’t telling the truth. But the way I see it, it’s in the past. I need to focus on now and the future. You know, there’s one thing I know for sure. We, as humans, will suffer no matter what. We all get a taste of life. Throughout life we suffer many kinds of ways. But we, as humans, try to make the best of it in any way we can. I know, when I suffered from my seizures as a kid I didn’t like it. It scared the hell out of me. But I tried to make the best of it because of life itself. I used to run and cry when I knew it was fixing to happen to me again. The choking feeling was painful. It was the nerves over my body and it was so painful. Collapsing, falling down stairs. I fell into my mama’s glass coffee table. Yep, I got a scar on my left jaw line from it. There is no way I can get away from it so I just have to deal with it. Thanks for calling and checking on my mom. Really, thanks. Please let me know everything that goes on. it hurts me that they keep stuff like this from me. We are always allowed ER calls when a family member calls with bad news. Yes, the chaplain let me call and talk for a few minutes. It was real painful because she couldn’t really talk. I did most of the talking because I didn’t want her talking too much because of the pain she was in. I could hear it in her voice. It will be awhile before I get any phone privileges. Don’t worry. Next time you talk to her see if she had a chance to talk to little Jamie. My Mama’s birthday was on May 1. I sent her a birthday card. Ask her if she got it okay. Please tell her I said happy Mother’s day and happy mother’s day to you as well. I’m gonna go for now. Love you. P.S. Tell mama I love her and will pray for her and others. (Sonni’s note: The sad thing is that he had to force them to write up a case on him. I called the prison two days ago. I pretended I was his bio mom. His mom said I should, to find out what was up with him because he sounded so desperate in his last letter because they wanted to send him to West Texas. It would put him so far out reach of anyone – if they chose to visit and there wouldn’t be any chance of seeing his son if my daughter changed her mind and took him there. They told me he had to go to UCC – internal court- because he threatened a guard. It didn’t seem right that he’d do that after everything he’d been in, but I know now he did it so they’d through him in solitary confinement again and then they wouldn’t send him to West Texas. This was a set up. Just reading his words,”THERE WASN’T AN EMPTY BUNK FOR HIM” anywhere?? I knew it, and he knew it,they would find a way to lock him up in solitary again. It was just a matter of time. It’s what they do. They keep them down. And now when he comes up for parole again in seventeen months, what do you think the verdict will be? Gotta keep these prisons full. The private prison corporation that owns Huntsville prison has been promised to be kept full. They are doing a good job of it. Read the chapter excerpt Fantasy Crimes and you will see what they threw him in lockup for 3 months ago. You tell me if you think it is right. You tell me if you think whole things was a set up.